We use powerful magnets in a safe way to promote healing. In USA doctors are using magnets to promote healing for a wide range of indications from physical to mental problems. It is similar to acupuncture, but instead of needles we use magnets. 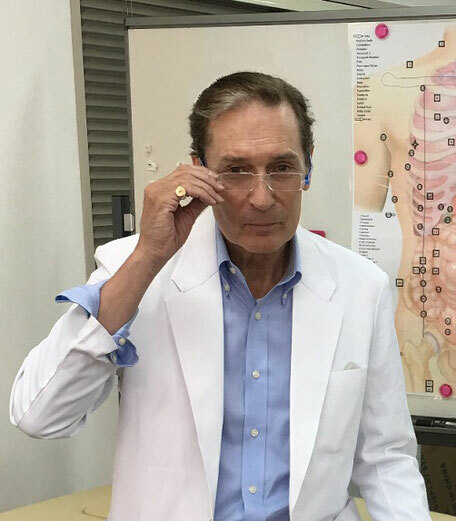 For the first time this revolutionary procedure is now being made available in Japan. We will soon be adding a reservation system to our site, but at present please make reservations by email or phone. As of 1st August 2018 I am offering home visit therapy for advanced cases of Parkinson's Disease. For information in English, please contact me. For Japanese, please click the link. Thank you. Early astronauts had to go through quarantine as their immune systems were compromised and they would get sick if they re-entered society too quickly. NASA doctor Richard Broeringmeyer realized that astronauts were not protected by Earth's natural magnetism when they were in space which affected their immunity. Now to avoid this NASA depolarizes astronauts using a magnetic shower. The Mexican doctor Isaac Goiz developed Broeringmeyer's research to help heal a patient with AIDS. 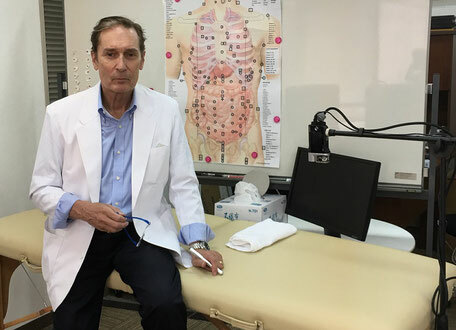 After the successful treatment, Dr. Goiz expanded the research to discover another 250 ailments that respond to BioMagnetic therapy. Because there are many aspects to the therapy it is not possible to go into depth here (this is covered in the Workshops), but the therapy is based on 6 concepts: 1) the Law of Magnetism 2) pH 3) Resonance 4) Entropy 5) Symbiosis 6) Shading. About Shading; the way to think about this is like peeling an onion. Once the strongest symptoms have been cleared other symptoms are exposed, so each one has to be cleared separately. That is why more than one or two sessions are needed. Just clearing the major irritant can give the client a lot of relief. The photo shows small magnets taped to the protective cloth. I have suffered from adult-onset asthma for more than 25 years and it has made it difficult to work or exercise. Together with the shortness of breath and chest constriction, I often get secondary infections such as otitis media or pneumonia. Western medicine is palliative and is quite aggressive on the body, so I searched for many years for an alternative therapy. I studied several such as homeopathy, Bach Flowers, qi-gong and biofeedback, but without success. Goiz Therapy is the first therapy that has cleared my symptoms and has let my body heal itself. Recently I dropped a heavy weight on my foot, breaking a bone. I applied a negative magnet to the injury and in an hour the pain disappeared; I believe it healed faster than if it had been put in plaster. I also completely resolved the shoulder pain (五十肩) that I had at the time. 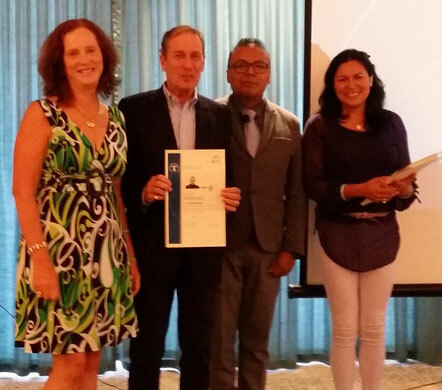 Researching the use of magnets in pain management lead to me being certified by the official Escula Superior De Biomagnetism Medico. I graduated in Japanese and Chinese at SOAS London University and worked in the pharmaceutical industry for 20 years, mostly in Japan. I studied neuroscience in a Japanese hospital, earning a PhD in 1998. I explained Goiz Therapy as similar to acupuncture with magnets, but this is not accurate as we do not use meridians but focus on the various organs in the body. The therapy is in two parts: firstly I scan the body using a magnet, the body will jerk or twitch when there is a problem. Over 78 points are scanned which takes about 30 minutes. When a problem point is found the magnet is left there for another 30 minutes to let the magnetic field re-balance the pH at that point. In all the therapy takes about 60 minutes. The therapy works in three ways. Firstly, it works quickly for acute problems, secondly for chronic issues it strips the layers of symptoms away (shading). Lastly, it works prophylactically, by defeating the cause before it becomes an issue. For example, I had pneumonia every year for five years, and in 2016 I had double pneumonia, which seriously concerned me. But using Goiz Therapy I believe I have cleared the root cause, and have not had pneumonia once in the three years since. The therapy is done with the client fully clothed, and I cover the client with a cloth to protect their clothes. You will not feel anything, and there are no side effects from Goiz Therapy, though some people experience a healing "crisis" as the body detoxes itself following the therapy. Goiz Therapy is contraindicated during pregnancy and in patients who are receiving therapy for cancer (chemo or radiation,) though it is recommended before treatment starts. Each clients is required to complete a data sheet and an Informed Consent form before starting the therapy. Please see the legal notice. Since March 2018 I have been conducting a pilot study at a large rehabilitation hospital (Tsurumaki Onsen Hospital - 600 beds) west of Tokyo. I am working with the neurology department to focus on using Biomagnetism in advanced Parkinsonism in the elderly. Parkinsonism is a debilitating, degenerative disease for which there is no cure, though palliative therapy such as L-Dopa is used, the benefits of the medicine wear off over time. The severity of Parkinsonism symptoms are graded from 1-5 using the Hoehn-Yahr scale. Level 5 is the severest and means the patient is bedridden, has little mobility and experiences a lot of pain. 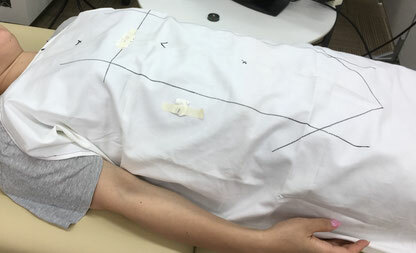 In this pilot study using Biomagnetism for level 4 and 5 Parkinsonism, 75% of the patients have improved to the stage that they can return home. They have better mobility, little or no pain, and improved balance. The other 25% showed considerable improvement in their mood. 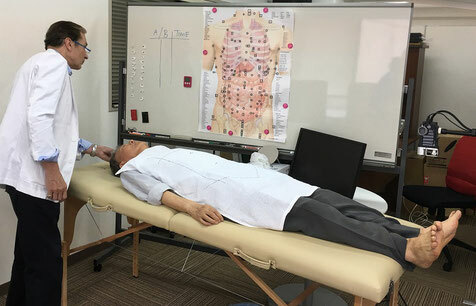 Though I do not expect anyone in the Tokyo ex-pat community to be suffering from advanced Parkinsonism, if you know of anyone who would benefit from this therapy, please show them this page or have them contact me. Thank you. Because of my research schedule, I can accept only 12 patients at this time, and only patients with the advanced form of the disease. In Spring of 2019 I hope to open a clinic for Y-H 1-3 patients. 2) Please be relaxed about the therapy, it doesn't hurt, there is nothing to be concerned about, being tense makes it harder for the body to communicate to the therapist - me. 3) Please wear comfortable clothes, and for the ladies, trousers. 4) Please arrive 15 minutes before your scheduled appointment for an explanation of the therapy. If you are late you will only get half of the benefit you should receive. Please drink lots of water to help the body detox.